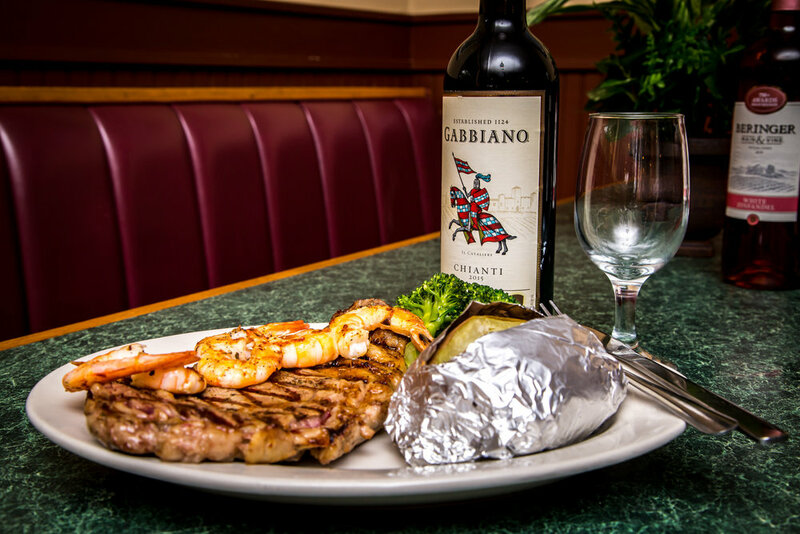 A local favorite, Georgio's has been serving St. George and the surrounding areas for over 30 years. If you are traveling through, you can find us conveniently located right off I-95. We are open daily and feature a lunch buffet and a Tuesday night pizza buffet, as well as a large menu with something for everyone. 5945 W. Jim Bilton Blvd. Made from top-grade beef & slowly cooked. Served on pita bread w/ lettuce, tomato, onions, topped w/ special white sauce seasoned w/ a hint of garlic. Gyro served with a Greek salad. Authentic Greek sandwich w/ grilled pork cubes, white sauce, lettuce, tomato, onions, served on wrapped pita bread. Suvlaki served with french fries & Greek salad. Authentic Greek sandwich w/ grilled chicken, white sauce, lettuce, tomato, & onions on wrapped pita bread served with french fries & Greek salad. Grilled onions, peppers, tomatoes and feta cheese served over rice. Spaghetti w/ mushrooms, sausage & meatballs with our homemade meat sauce. With cheese or meat sauce or marinara sauce. Baked to perfection. Topped w/ mozzarella cheese in our special homemade meat sauce. “A Baked Italian Treat!” Topped w/ our special homemade meat sauce or marinara sauce & mozzarella cheese. Fried veal patty topped w/ mozzarella cheese & meat sauce. Chicken topped w/ mozzarella cheese & homemade marinara sauce baked on top of spaghetti. Breaded eggplant topped w/ mozzarella cheese & marinara sauce. A generous portion of Italian sausage topped w/ meat sauce. Large homemade meatballs w/ meat sauce. Breaded eggplant covered w/ our marinara sauce. Choice of ground beef served on a fresh bun w/ lettuce, tomato, onions, & mayo. Served w/ lettuce, tomato, onions, mayo, pickles & French fries. Choice beef topped w/melted cheese served on a fresh bun w/ lettuce, tomato, onions & mayo. Choice beef topped w/ cheese & served on a fresh bun w/ lettuce, tomato, onions, mayo, pickles & French fries. 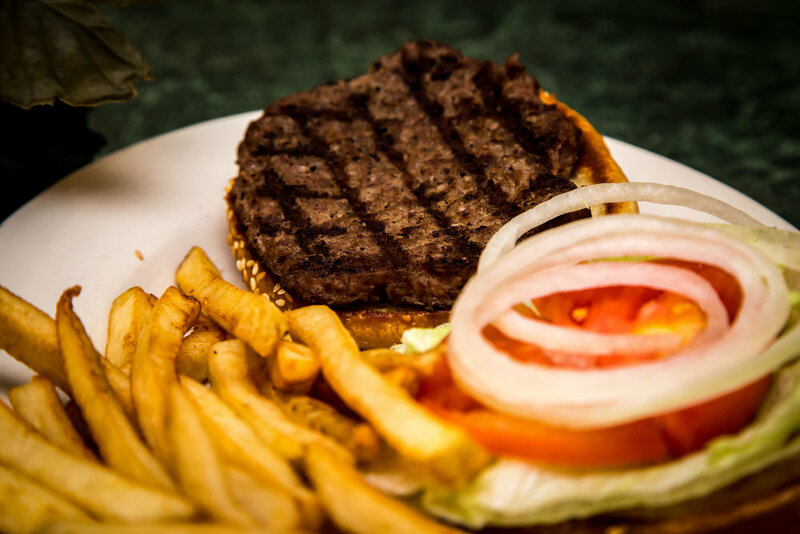 Choice beef topped w/ mushrooms & onions, served on a fresh bun w/ French fries. Lettuce, tomato, onions, green peppers, hot peppers, mushrooms & black olives. Hot sub with meat sauce. Hot or cold with lettuce, tomato, onions, peppers, mayo, oil & vinegar. Lettuce, tomato, onions, peppers, mayo, oil & vinegar. Hot or cold with bacon, lettuce, tomato, onions, peppers, mayo, oil & vinegar. Hot sub smothered in cooked onions and cheese. Cooked salami, ham & Genoa Salami, lettuce, tomato, onions, peppers, oil & vinegar. Roast beef, ham, bacon & turkey. Hot or cold, with lettuce, tomato, onion, peppers, oil & vinegar. Roast beef, ham, turkey, bacon, salami & pepperoni (w/lettuce, tomato, onion, peppers, oil & vinegar). Slices of tender steak with butter-grilled onions & cheese. Slices of tender steak topped with Provolone cheese. Slices of tender steak with fresh cooked bell peppers & cheese. Slices of tender steak with butter-grilled mushrooms & cheese. Combination of onions, peppers, mushrooms & cheese with tender steak. Boneless chicken breast w/ egg and lemon sauce, peppers and tomatoes. Boneless breast of chicken sautéed w/ Marsala wine, mushrooms and onions. Fresh veal cutlet w/ egg and lemon sauce, peppers and tomatoes. Fresh veal cutlet sautéed w/ Marsala wine, mushrooms and onions. Fresh shrimp w/ egg, lemon sauce, peppers and tomatoes. Served plain, with chicken or with shrimp. Served w/ French fries and tossed salad. Served w/ baked potato or French fries, broccoli & salad.